Its main feature is the ability to fire guided missiles with high accuracy. 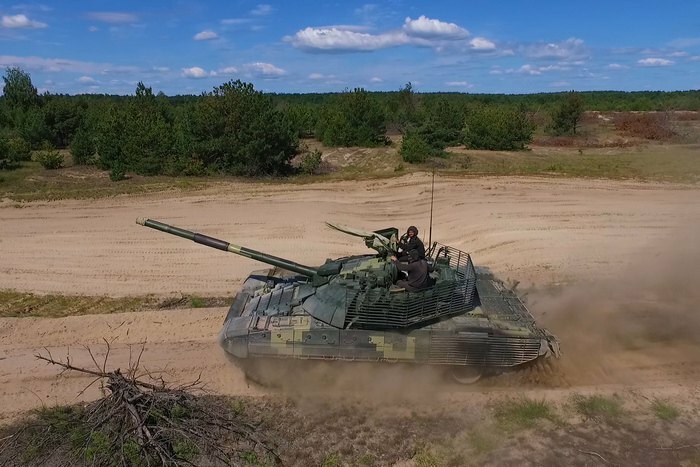 The Ukrainian defence concern, Ukroboronprom, is holding the live fire testing of the main combat tank T-72AMT, a modernized version of T-72A. 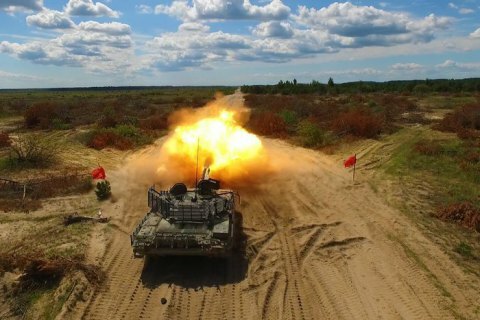 Its main feature is the ability to fire Kombat guided missiles designed by the Luch concern with high accuracy, Ukroboronprom's press service said. According to the manufacturer, the Kyiv Armour Plant, the tank can hit enemy armour at the distance of up to 5 km. This is twice as far as in the case of T-72A. A Kombat missile can pierce 750-mm armour and cannot be stopped by reactive armour. T-72 AMT has elements of reactive armour of a new generation and slat armour. This combination proved to be among the most effective during fighting in Donbas and has been taken into account by the manufacturer. The new tank is equipped with night-vision devices for all crew members and a thermal night sight; two digital radio stations using protected communication channels, a modern satellite navigation system and a rear-view camera. The tank has new trucks allowing for smooth movement. Thanks to a new battery, the crew can do the surveillance and open fire with the main engine off.